The Russian and Vietnamese military departments will intensify their cooperation, Defense Minister Army General Sergei Shoigu said at a meeting with Vietnamese Deputy Defense Minister Senior Lieutenant General, Nguyen Chi Vinh, which took place in Moscow on Monday, TASS reports. Russia expects to expand cooperation with Vietnam in the energy sector and hopes new projects involving Gazprom, Rosneft and Zarubezhneft will emerge, Russian Prime Minister Dmitry Medvedev said following talks with his Vietnamese counterpart Nguyen Xuan Phuc, TASS reports. 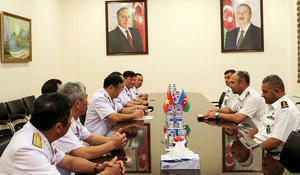 Naval forces of Azerbaijan and Vietnam are discussing in Baku the prospects of development of military cooperation. 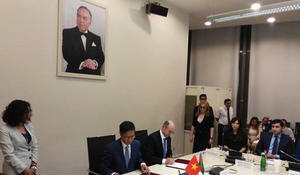 Vietnam is interested in the participation of the Azerbaijani state company SOCAR in its national oil and gas industry, energy infrastructure, as well as the creation of joint ventures in this area, a source in the government of Azerbaijan told Trend. 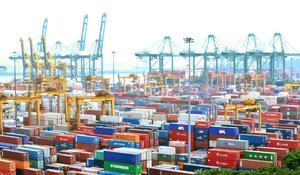 Vietnam hopes to increase trade with Azerbaijan, as well as volume of bilateral investments, Minister of Industry and Trade of the country Tran Tuan Anh told reporters June 20. 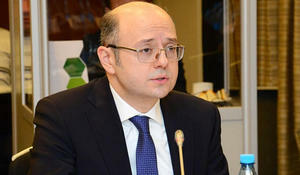 Azerbaijan and Vietnam have great potential for the development of cooperation, which should be fully used, Parviz Shahbazov, Azerbaijani energy minister, co-chairman of the Azerbaijani-Vietnamese intergovernmental commission for economic, trade, scientific and technical cooperation, said. 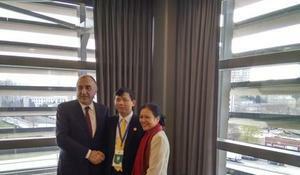 Azerbaijan's Foreign Minister Elmar Mammadyarov met with Vice Foreign Minister of the Socialist Republic of Vietnam Dang Dinh Quy on the sidelines of the Mid-Term Ministerial Conference of the Non- Aligned Movement, the Azerbaijani Foreign Ministry said in a message April 5. 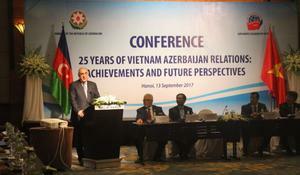 The conference titled “25 years of Vietnam-Azerbaijan relations: achievements and future prospects” has been held in Hanoi.